Sen. Pat Toomey finally has a challenger in Tuesday’s GOP Senate primary. Sort of. Pennsylvanians for Self-Protection made a statement Wednesday telling its members to write in “2A” for the 2nd Amendment instead of voting for Toomey, who is running unopposed. In early 2013, PA’s junior Senator co-sponsored a bill with Democratic West Virginia Sen. Joe Manchin to increase background checks in the wake of the Sandy Hook shooting. Though the bill was ultimately voted down in the Senate, gun-rights advocates point to the measure as an assault on their constitutional right to own a firearm. “We need to send him a message and remind him that the 2nd Amendment is a right,” Sager said. Hiya, I’m really glad I have found this information. Nowadays bloggers publish just about gossips and internet and this is really annoying. A good web site with exciting content, that is what I need. Thank you for keeping this web-site, I’ll be visiting it. Do you do newsletters? Cant find it. On second thought, why has violent crime skyrocketed in Australia after all of the guns were confiscated ? This is what Hillary has promised us if she gets elected! What part of SHALL NOT BE QUESTIONED do you not understand? I’m a lifetime NRA member and 2A advocate. 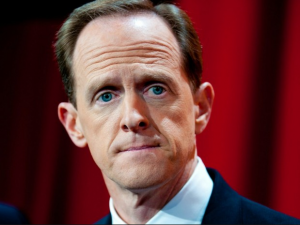 Toomey-Manchin would have been the best thing to happen for the second amendment in my lifetime. I shudder to think what the next president/senate will do and about the Supreme Court they’ll approve which will set policy for the rest of my life. Judging by the comments, there’s nothing to worry about from the gun grabbers…comparing guns to cars or self defense to a flood, give me a break. Fortunately for you the only people less politically savvy are the 2A crowd who somehow think Toomey-Manchin (which made listbuilding a felony, nationalized the ability to easily travel with your gun through other states, established due process for denials, and fixed the slow-walked check system) is bad for individual rights. Schumer et al were thrilled we shot ourselves in the foot. You gun hating socialists are a total joke. If you don’t like guns, don’t buy them. Leave us who want to exercise our rights to self defense alone. We already have background checks. Every firearm bought retail requires a background check. If 2 hunters want to trade duck shotguns, they can as long as both neither is prohibited. If either one is, it’s a felony offense. Forcing hunters to do a background check when they already got one to get their license is nothing more that total government control and a move toward confiscation. Right because background checks before purchasing a gun is an atrocity. Almost as outrageous as having to pass a driving test. The car is not what kills people it is the person. This is why you need to be deemed competent before sitting behind a wheel, there is no difference with a gun. Sen. Toomey is a realist. He understands action speaks louder than words and while yes background check legislation is a form of “gun control” it does not infringe on your 2nd amendment. Instead of crying on the sideline, participate in the political process and vote for the Senator. If you think the Senator has “infringed” on your gun rights, just wait till you decide not to vote for him in November and McGinty wins…then watch what happens to your gun rights. This little doofus is going down! One term for Toomey!! If they were really serious about it, they’d have put somebody on the ballot and made Toomey sweat a bit. He’s laughing at this 11th hour charade. 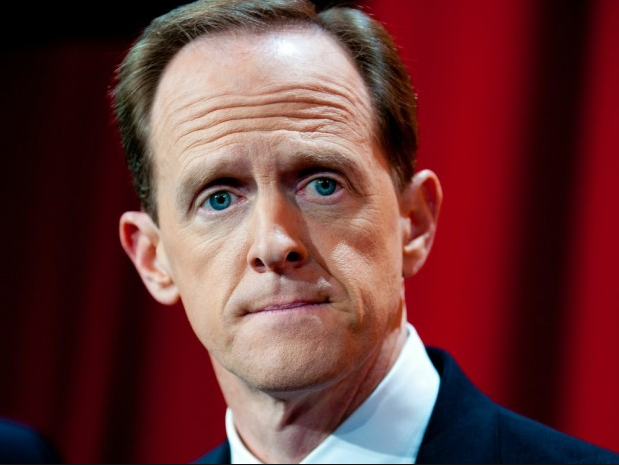 Toomey deserves every ounce of it for shooting conservatives in the back. This is an obnoxious and entirely pointless protest that will only serve to waste the time of poll workers who are required to record every write-in manually. People who write in non-serious or fictional candidates are really being a pain in the neck to those who do the hard work of protecting our democratic process and should stop. And once again the tea baggers attempt to cannibalize the party they stem from to further shoot themselves into oblivion… pun intended. Too bad there is no I.Q.test for people who invoke the 2nd Amendment. This crap is like flatulence…. What, specifically, is it that they want to do to stop mass shootings? I’ve never heard any actual solution coming from gun “advocates.” Well, except “more guns,” which makes as much sense as solving a flood with more water.